In Sri Lanka, Peraheras are a celebration with traditional rituals that have a religious and cultural core, incorporated in a rich, colourful pageant. 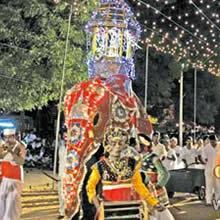 This pageant or Perahera in Sri Lanka is a procession of gorgeously clad elephants, traditional dancers, musicians, fireball acrobats, whip-crackers, torch spinners, flag and canopy bearers, chieftains and custodians in colourful trappings of the mediaeval kind. Since this is a preservation of the age-old custom thousands of Sri Lankans partake in these Peraheras with or without compensation as it is part of their lives and will not let it die. This procession links separate places thus creating a corridor of sacredness and this combination of the sights, smell and sound leave the visitors, Sri Lankans as well as the tourists with this intangible feeling of vibrancy with a mystical touch to it. 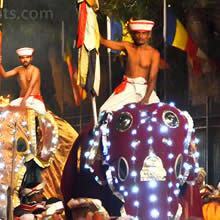 The Sri Lanka Kandy Esala Perahera takes place in Kandy. 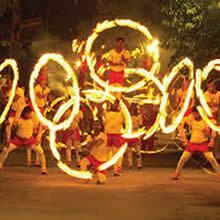 The Sri Lanka Navam Perahera takes place in Colombo. 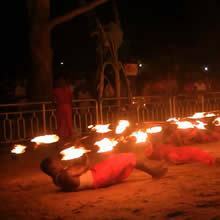 The Sri Lanka Kataragama Perahera takes place in Kataragama. The Sri Lanka Thaipusam Festival takes place in Kataragama. 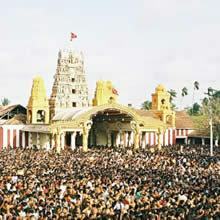 The Sri Lanka Nallur Festival takes place in Jaffna. 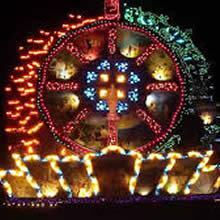 The Sri Lanka Vesak Festival is held all over Sri Lanka. © Copyright High Elms Travels 2017. All Rights Reserved.